What started out as an April Fools' Day joke may soon become a reality according to a trademark filing and tweets from Elon Musk: There may soon be a Tesla-themed tequila. A trademark application filed by Tesla on Monday seeks to protect the name "Teslaquila" and identifies the product as "distilled agave liquor; Distilled blue agave liquor." Tesla CEO Musk tweeted about "Teslaquilla" (then spelled using two "l"s) on April 1, 2018, joking that Tesla had gone bankrupt and he had "passed out against a Tesla Model 3, surrounded by 'Teslaquilla' bottles." After CNBC reported the story Friday, Musk tweeted a "Visual approximation" of the product. CNBC reports that while there is no guarantee that the product will go to market, the trademark means the company has a "good faith intention" to develop the brand. Musk and his electric-car company have been in the news recently for a number of different reasons. Tesla outsold Mercedes-Benz in the U.S. for the first time and Musk agreed to relinquish his Tesla chairmanship in a settlement with the U.S. Securities and Exchange Commission. 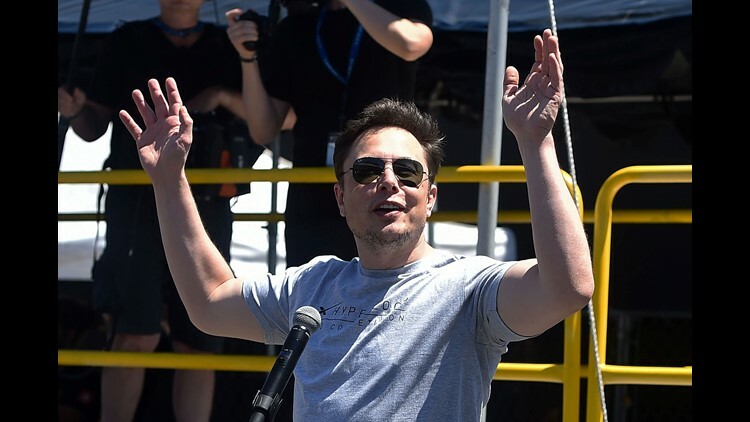 Musk also has generated a number of controversies in recent months for his carefree behavior, including apparently smoking marijuana on a video podcast. Contributing: Nathan Bomey, USA TODAY.